Are you feeling as if the battery life on your laptop is no longer the same as it was when you bought the laptop? While it is natural that the battery of your laptop will rapidly get compromised as you use the machine over time, there are instances when you will feel that this deterioration is happening more rapidly than normal. There are a number of reasons why this may be the case. The problem could be with the software system or something you are doing wrong that could be leading to the deterioration of the battery. Learning how to fix your computer’s battery life problems could save you a lot of money and stress. While you can use your intuition to see how your battery is performing, you will be glad to know that operating systems after Windows 8 have a built-in feature that can give you information about the performance of your battery and how it is being used. Only when you know the state of your battery will you be able to know whether it needs to be fixed or not. This information will tell you what the design capacity of your battery is and what its current capacity is. You will be able to generate a report on your battery by pressing Windows + X. When you are here, you then select “command prompt.” Once you are on the command prompt, you can type powercfg /batteryreport /output MYFOLDERmybatteryreport.html and then press enter. This process will create a file that you can then access over the internet. If anyone tells you that there is a miracle to make your battery work in the same way as it did the day you bought it, they are lying. However, there is something that generally falls out of place over time: your operating system’s ability to gauge the capacity of the battery. In this instance, your laptop can tell you that you still have 30 minutes when in actual fact you have nothing and your laptop turns off on you suddenly. When this starts to happen, you have to recalibrate your machine. To recalibrate, you will need to charge your battery to full capacity and then leave it on the charger for another two hours. After this, take the laptop off the charger. Set the power management so that the computer does not turn off. This will help you to use all the power until the battery is completely drained. When you charge the battery up again, it will give you the right battery capacity. This may also help you to get more life out of your battery. Many people believe that they are saving the life of their battery if they are not using it and keeping the machine plugged into a power source all the time. Well, this is not true at all. 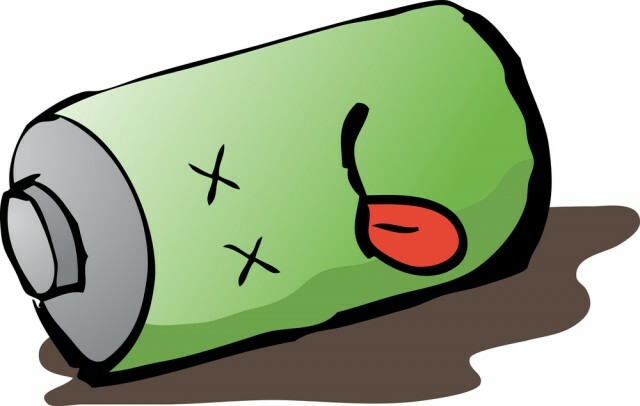 Your battery works like the muscles of your body; to remain healthy, you have to work them out. It is advisable that you use your laptop unplugged at least once a day. Do not charge your battery if you are not planning to use the laptop constantly. There is another solution to help you manage the different aspects of your computer including the battery. You can use DriverAssist. It does not only ensure that your device drivers are properly updated but will also scan the system and ensure that things like your battery are working optimally. Review what this software can do on their website.